Are you as excited as I am?! Only 2 more sleeps until we can order from the new catalogue! Although I've had the opportunity to play with lots of things that, we as demonstrators, could preorder, there are still many things on my list. A few of those are must haves on my first order. I'm not going to go into too many details on that today - I'll share my top 10 list next week. 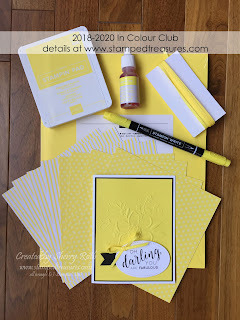 In the meantime here's a little peek at a cute baby card using some great new products. One of the things I do when I look through a new catalogue is look for sets that are great for card making but also scrapbooking. 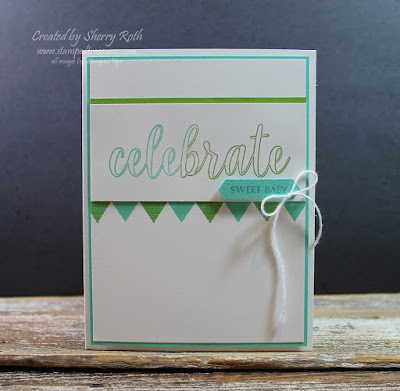 The Calligraphy Essentials stamp set, which is where the 'celebrate' is from is GREAT for both. I love that the words are a little larger which makes for great title starters! And celebrate, hello and smile are so versatile - I know they will get used LOTS! Another set that is going to be used a lot is the Pick a Pennant stamp set. 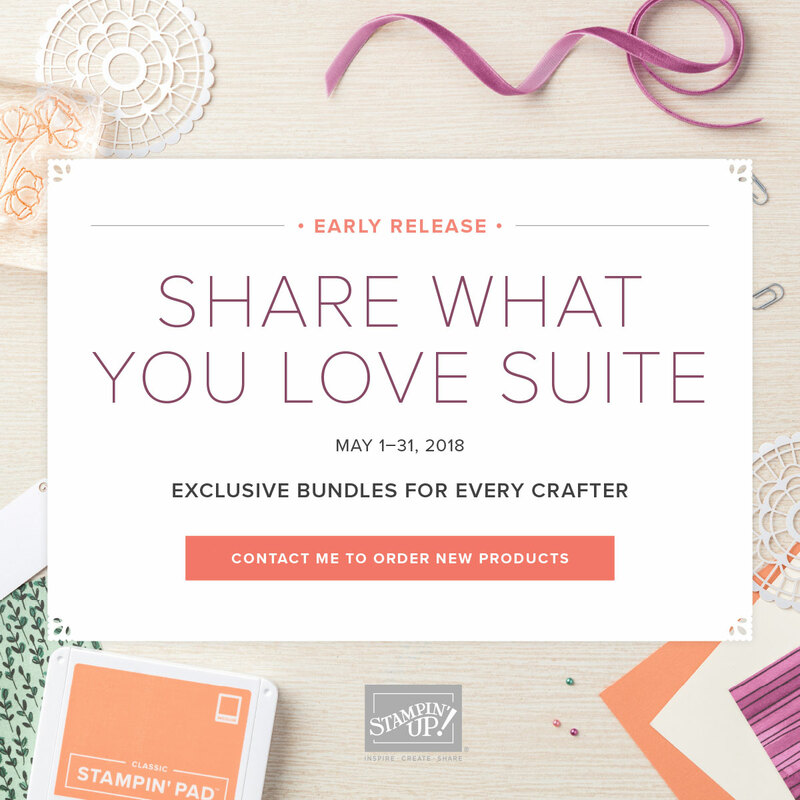 Banners are so fun for both cards and layouts and that little alphabet set that's included, well you know my love of the Labeler Alphabet - I'm pretty sure this one will be the same! And then we've got the Itty Bitty Greetings - I love greeting sets that cover lots of different occasions, including ones that I may not want to buy an entire set for. This is the set that the 'sweet baby' came from. 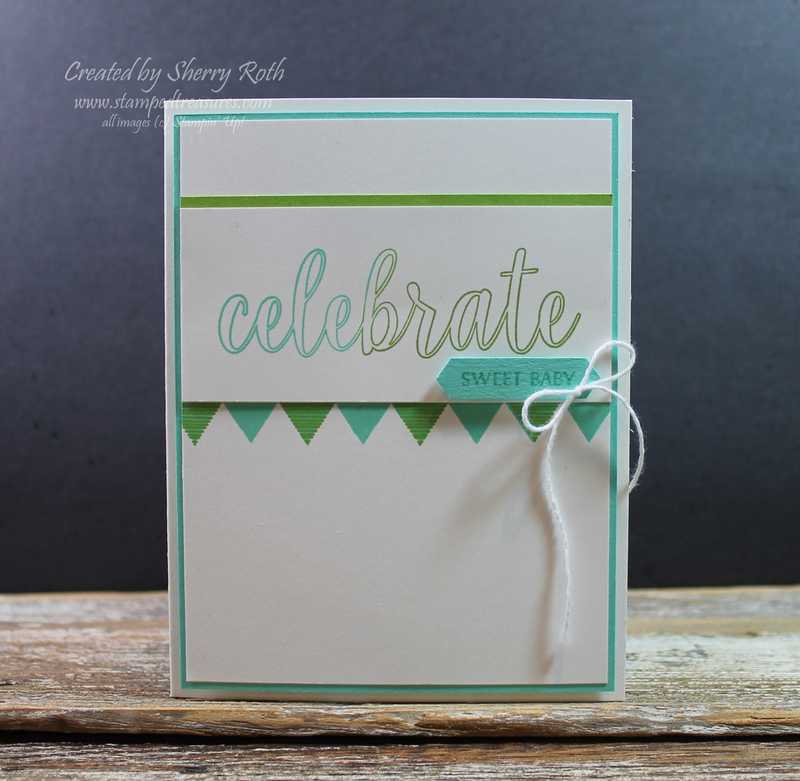 This card uses two of my favorite new colors - both from the brights collection - coastal cabana and granny apple green. Love how they came together. I think I'll be using this color combo a lot! It's hard to tell from the photo but the word celebrate is stamped partly in the granny apple and partly in the coastal cabana. Just a reminder if you are in the Edmonton, Sherwood Park or surrounding areas and would like to stop by and check out some of the new products and pick up a catalogue, my launch is on Friday June 1st from 7 to 9 and Saturday June 2nd from 10am to noon. Just send me an email and I'll send you the address. Accepting new members until June 3rd.